PennsylvAsia: A Night of Gamelan, April 12 at Pitt. 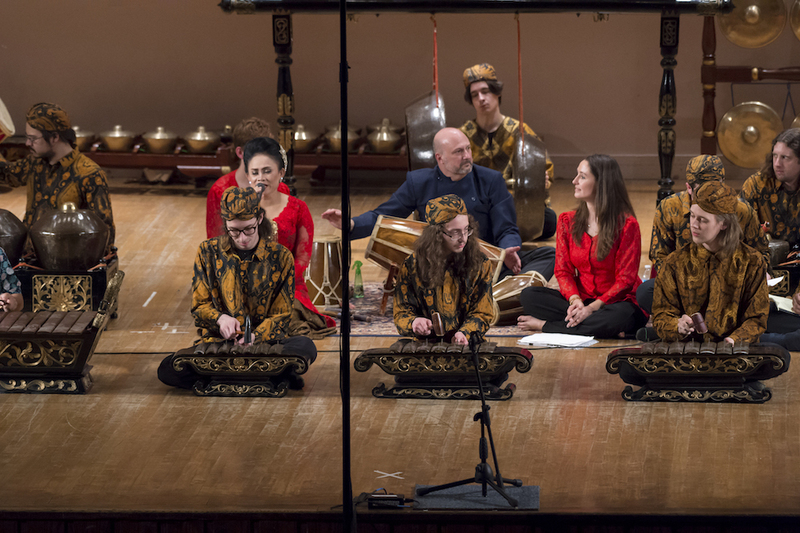 The University of Pittsburgh's Gamelan Ensemble will hold its annual A Night of Gamelan on April 12. The University Gamelan Ensemble (Mus 0690) plays the gamelan music of the Sundanese people, an ethnic group that inhabits roughly the western third of the island of Java. Gamelan refers to a set of predominantly percussion instruments including tuned gongs, metal-keyed instruments, and drums (as well as bowed lute and voice). Gamelan music is played as accompaniment to dance, drama, puppet theater, and martial arts, as well as for concerts of listening music. Gamelan is performed in conjunction with special occasions and to mark important life-cycle event. The performance starts at 8:00 pm in Bellefield Hall Auditorium (map) and tickets are available online.